When David Cameron returned to Tory headquarters early on the morning of 8 May, he declared his sensational election victory to be 'the sweetest' moment of his political career. The Conservatives had won their first Commons majority for twenty-three years and the Prime Minister had achieved the seemingly impossible: increasing his popularity while in government, winning more seats than in 2010 and confounding almost every pundit and opinion poll in the process. Within hours, his defeated rivals Ed Miliband, Nick Clegg and Nigel Farage had all resigned, stunned and devastated by the brutality of their losses. 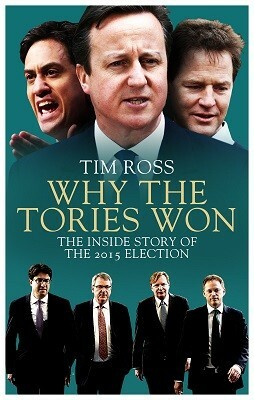 Political journalist Tim Ross reveals the inside story of the election that shocked Britain. Based on interviews with key figures at the top of the Conservative Party, and with private access to Cabinet ministers, party leaders and their closest aides, this gripping account of the 2015 campaign uncovers the secret tactics the Tories used to such devastating effect.